This entry was posted in Which Open Source Blog and tagged AntiPhishing, Choice, Editor's, Magazine's, PhishGuru, Products, Security, Technologies, Unveils, Wins, Wombat on February 17, 2013 by Administrator. Information Shield, a global provider of information security policy and compliance products, announced the latest release of Information Security Roles and Responsibilities Made Easy (ISRRME) by Charles Cresson Wood. Now in its third revision, this library includes over 70 time-saving information security templates and expert advice designed to streamline the process of defining information security roles and responsibilities. This updated version also includes the results of our most recent and exclusive Information Security Staffing Survey, which enables organizations to benchmark their information security staffing against their peers. Studies show that one of the most important steps, that top management organizations can and must take in the information security area, is to clearly and logically define roles and responsibilities for internal staff, business partners, contractors, consultants, and other third parties, said the author and independent information security consultant Charles Cresson Wood, MBA, MSE, CISM, CISA, CISSP. Organizations can achieve dramatic time and cost savings over the long haul with a properly defined information security organization. For example, a recent Verizon study shows that the costs of a data breach are on average 35% less if the organization has established a CISO Chief Information Security Officer (CISO) or similar position. 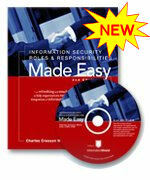 Information Security Roles and Responsibilities Made Easy contains over 70 pre-written information security job descriptions, organizational mission statements, and reporting relationships. Now in its third revision, this time-saving library contains key best practices that have been used effectively by hundreds of organizations worldwide. In addition to time-saving documents, ISRRME provides valuable on information security staffing, outsourcing the security function, and dealing with workers in positions of trust. Information Security Roles and Responsibilities Made Easy comes in electronic download and CD-ROM format, and includes an organization-wide license to republish the material inside one organization. This entry was posted in Which Open Source Blog and tagged Documenting, Information, Library, Organizational, Responsibilities, Roles, Saves, Security, Thousands on January 20, 2013 by Administrator. 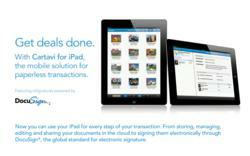 This entry was posted in Which Open Source Blog and tagged Brings, Cartavi, Convenience, DocuSign, Increased, iPad, Security, Speed on January 13, 2013 by Administrator. Business leaders and managers with responsibility for Risk Management, Corporate Compliance, and HIPAA-HITECH Privacy and Security compliance should attend. CEOs, COOs, CFOs, Chief Compliance Officers, Chief Risk Officers, Chief Privacy Officers, Chief Security Officers, Chief Information Officers. This session is offered as a 60-minute webinar using the GoToWebinar platform. The open format encourages questions during and after the session. Attendees will receive the presentation materials. This entry was posted in Which Open Source Blog and tagged Analysis, Bona, Complimentary, Conduct, Educational, Fide, HIPAA, Risk, Security, Upcoming, Webinar on January 12, 2013 by Administrator. The focus of this 4 days HIPAA compliance training program is to better understand the implications of HIPAA legislation and identify critical compliance requirements for your business/client. It helps you better understand HIPAAs Administrative Simplification Act as well as how to create a framework for initiating and working towards a blueprint for Privacy and HIPAA Security compliance and regular audit to avoid violation of regulations. Our Training includes changes to the HIPAA regulations due to Health Information Technology for Economic and Clinical Health (HITECH) Act which is part of American Recovery and Reinvestment Act of 2009 (ARRA) and requirements for the meaningful use. Our HIPAA Instructors are HIPAA consultants who help organizations meet the HIPAA audit checklist requirements issued by the DHHS. Learn from the Instructor what your next steps are to meet these newly issued audit requirements by the Department . of Health and Human Services (DHHS) Office of e-Health Standards and Services. Everyone, directly or indirectly related to the Healthcare industry requires to be trained based on the job role of the individual. In view of this, our company has devised various comprehensive training courses that are conducted all through the year across the USA. The person has a choice to chose the relevant training that suit their learning objectives and organizational benefits. Besides conducting the training and certification programs, Supremus Group LLC is involved in HIPAA consulting services and online training and certification services as well. For further information on the above courses, contact Bob Mehta at (515) 865-4591 or drop an email to Bob at Bob(at)hipaatraining(dot)net. Supremus Group LLC, has served more than 2700 companies. We offer comprehensive HIPAA training for healthcare organizations, health plans, employers, business associates, and alternative medicine providers. Courses, which have been updated to reflect HITECH & meaningful use requirements, are offered in multiple formats, including instructor-led HIPAA training, online training courses, and customized onsite training. After course completion, participants may obtain one of the following HIPAA certifications: CHPA (Certified HIPAA Privacy Associate), CHPE (Certified HIPAA Privacy Expert), CHSE (Certified HIPAA Security Expert), and CHPSE (Certified HIPAA Privacy Security Expert). This entry was posted in Which Open Source Blog and tagged 2012, 2427, Certification, Certified, CHPSE, Compliance, Days, Expert, Four, from, HIPAA, Offered, Officer, Others, Privacy, Security, Training on January 10, 2013 by Administrator. Host Color LLC (http://www.hostcolor.com), a US shared web hosting company has released in its hosting support forums ( http://forum.hostcolor.com ) a number of articles on the basics of webmaster security. The company wants to raise awareness among novice webmasters of the main measures they have to take to make their sites secure. 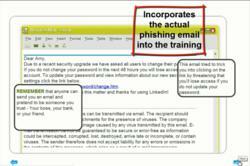 The company has been alarmed by the growth in SPAM and other hacker attacks it has observed. Host Color has published basic guidelines on securing PHP and Perl applications. The hosting company security specialists also underline how important it is that all web applications are updated regularly. “Our company has always placed a strong emphasis on security. The main program that we face however is that many webmasters do not realize that they need to think about all security implications when they install software on their accounts. A recent problem that we faced for example is that many of the ‘Contact us’ scripts that our customers install are vulnerable and can be used as open-relays by spammers. This causes serious problem for the servers since it can turn them into sources of spam. We have added detailed instructions on how this can be avoided. We have also give simple examples of what code and SQL injection are and how those can be stopped as well,” says Stoyan Marinov, Host Color’s Security Specialist. Host Color also advises its web hosting customers to subscribe to the security bulletins of the open-source software that we use such as phpBB, Joomla or osCommerce. If all updates are applied in time then the security of open-source application can live up to a high standard. On the whole the problems that Host Color describes are not critical the companys hosting servers since their software is regularly updated. Problems with a site’s security however can lead to defacing of customers websites and leakage of information. “Host Color is committed to helping our customers build a viable and functional web presence. That is why our support and system administration teams work closely together on all such problems,” assures Stoyan Marinov. The hosting company has recently announced a Christmas promotion on web hosting services. It includes 6 free months of service and free domain name with every Max or Mega hosting plan. Non-profit organizations and academics receive an additional 15% discount on sign-up. This entry was posted in Which Open Source Blog and tagged Advice, Color, Company, Host, Hosting, Offers, Security, Webmasters on January 8, 2013 by Administrator. Just like the old western movies, when a new gun comes into town, everyone is eager to find out how fast and deadly the newcomer really is. This would usually lead to a gunfight. Like any gunfight, there can only be one winner. That scenario was recently reenacted in the digital town they call the Internet. When SecureLive, a website security company boasted about being the fastest and deadliest, a website security expert and author just had to find out for himself by putting oh his gun belt. SecureLive LLC, a New York based website security company recently launched a suite of website security products aimed at securing all the loopholes and doorways on a website. The system consists of software that deploys artificial intelligence and “Live” monitors to thwart hackers and thieves. SecureLive claims to protect and secure all the moving parts of a web application with a strong website security and anti-hijacking prevention system. Now, you can’t just walk into town making such big claims and get away with it. So, website security expert Tom Canavan, author of “Joomla Web Security” (published by Packt Publishing in 2008), decided to put SecureLive through his usual grueling test. Joomla is one of many open source website platforms used by millions across the world. Mr. Canavan’s expertise goes far beyond Joomla security and into all aspects of website security. 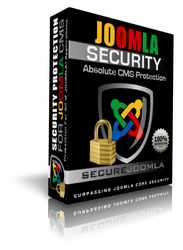 Mr. Canavan was eager to prove that this new website security for Joomla was just like all the rest and would soon fall from his smoking gun. ABOUT THE REVIEWER: Tom Canavan is author of Joomla! Web security, available from Amazon and a must read for any website administrator, not just Joomla! sites. He has been in the Computer industry for 24 years, and is most recently the former CIO of a large .dot com based in Texas. ABOUT THE PRODUCT: The actual product reviewed by Mr. Canavan was SecureJoomla, a website security application by SecureLive that utilizes the same engine as all SecureLive anti-hacking products. The entire SecureLive website security applications suite are detailed at SecureLive.net. “Once in a while a product comes along and really makes me sit up and pay attention” – Barrie M. North – JoomlaShack.com, and author of “Joomla 1.5: A User’s Guide. “Joomlashack doesn’t give such high praise to just any old Joomla product – Barrie M. North – JoomlaShack.com, and author of “Joomla 1.5: A User’s Guide. SecureLive blocks attack attempts first and then alerts you and a live monitor in real-time. During blocking and alerting, the system also records vital data about the attacker including attack strings used, geo-tracking and other unique signatures. This evidence is recorded in the global system and passed onto LIVE monitors, who will follow up the incident by filing a report and forwarding the evidence to the appropriate agencies seeking action against the attackers. The system is artificial intelligence enabled and adjusts your security settings (per client) automatically to become “SMARTER”. It is an intelligent learning device. SecureLive website security incorporates Software Bots, Artificial Intelligence Technology, Complete Covert Data Acquisition, Existing Global Hacking Knowledge-base, Live Human Intervention, SMART Real-Time Diagnostics and Automation to pack three separate systems into one for a complete ROUNDED solution to today’s security threats; BLOCKING, ALERTING AND REPORTING. This is what ALL other security systems should be doing and is a much needed product in today’s cyber environment. For additional information regarding this release, please contact Fred Sarhadi or visit http://www.SecureLive.net . This entry was posted in Which Open Source Blog and tagged Expert, Security, Shootout, Website on December 31, 2012 by Administrator. The WP Pipeline software was developed by prominent internet marketing experts Tony Marriott and Ben Shaffer. Marriott and Shaffer recognized the need for a solution to the security issues inherent with WordPress and created WP Pipeline to help their fellow webmasters and blog owners to secure and protect their online assets. WP Pipeline addresses these issues by offering users a range of security features including the ability to update all of one’s plugins, themes, and versions of WordPress across every blog a customer owns or manages for clients. Users can manage all their WordPress blogs from a central location and see automatically if any blogs are down or in need of updates. In addition to WP Pipeline’s security features, the software also allows users to back up, and clone their blogs, create new blogs, and deploy multiple themes and plugins on all their blogs with a single mouse click. 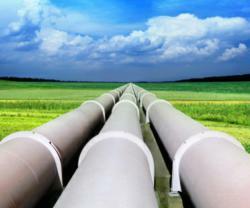 Those wishing to purchase WP Pipeline, or for more information, click here. This entry was posted in Which Open Source Blog and tagged Examines, Management, Pipeline, Plugin, Review, Security, Unique on December 30, 2012 by Administrator.